Newton tree succumbs to Clayton’s gravitational pull! So, the story goes that in 1666 a young Isaac Newton, while sat contemplating under an apple tree in his family’s Lincolnshire garden, was hit on the head by one of its falling fruit. Whether he was actually conked, or just witnessed the falling apple, is open for debate. Regardless, the experience triggered Newton’s consideration of gravitational forces and eventually led to his famous Law of Universal Gravitation. Flash forward to 1977, and researcher in Solar Energy at Highett, Bob Dunkle, makes a donation to CSIRO of a little apple tree that he has successfully grafted from a cutting of a tree at Monash University – a direct descendant of the ‘Flower of Kent’ tree that inspired Isaac’s epiphany. 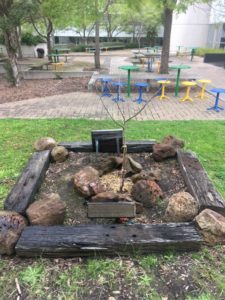 For 39 years, tucked into a quiet and unassuming patch of grass at CSIRO’s Highett site between building’s 207 and 208, the little apple tree grew to provide shade and fruit for those wandering past. Dean Harris, a minerals researcher at Highett, said that he must have walked by the tree a million times. “It produces nice apples when in season, I’ve eaten many!” he said. On Friday 21 August 2016, the Newton tree was relocated to its new home at CSIRO’s Clayton site. 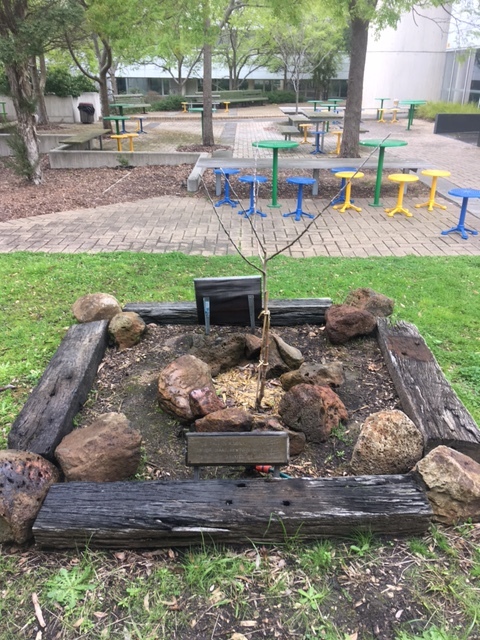 Unfortunately the relocation of the original root and trunk system of the Highett Newton Apple tree to the CSIRO Clayton site did not survive the stress of the relocation procedure or the extremely hot summer conditions after it was re-located. Fortunately CSIRO had prepared for this scenario and had taken multiple cuttings from the tree and stored them with our Plant Industry experts on our Black Mountain site in Canberra, ACT. Once the original relocated dead tree was removed, the soil was re-prepared and one of the original cuttings was sent from Canberra for replanting. The tree is currently in its winter dormant state but is showing signs of buds appearing and has more than doubled its size since planting. Below is a recent photo of the tree taken at the CSIRO Clayton site. 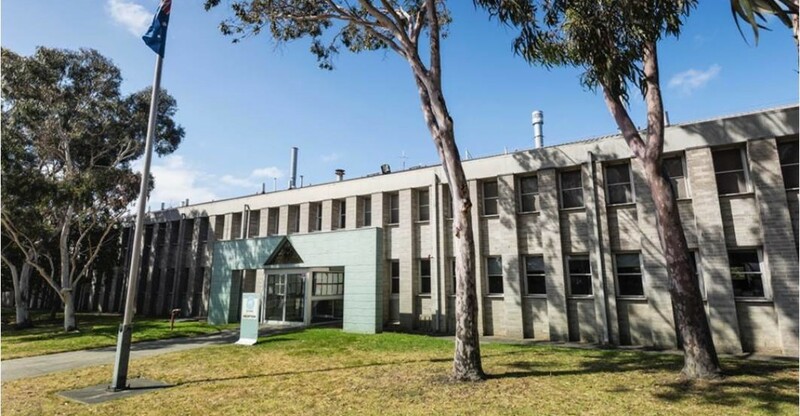 In addition to the relocated tree at Clayton, CSIRO can boast Newton trees at its Parkes and Waurn Ponds sites.